I dropped off the face of the planet AGAIN. Nano, then Christmas and now I'm working on editing my Nano novel. It seems I can either blog or work on my story. You would think I could do both but my brain is not wired that way. It's crazy. But in the morning if I want to write I can't watch any TV. It is like it shuts down the part of my brain that wants to be in my own universe. Thought I'd post a quick note. Thanks to all that have inquired as to whether I was alive or not. I hope everyone has a happy and productive new year. 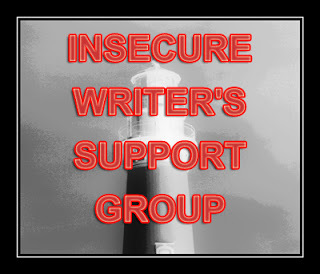 The Insecure Writer's Support Group (IWSG). They meet the first Wednesday of every month to encourage each other, share doubts and insecurities. I missed last month. I had the flu. I knew what day it was. I thought about it and that's as far as I went with that. This month I really shouldn't post. I have done very little writing. My cold/flu hung on for four weeks. Every time I thought I was starting to feel better it would slam me down again. I'm all better now and while my progress in Nano is s-l-o-w it is good to be writing again.